Do you also find that taking time-out for leadership reflection falls victim to whichever problem has the loudest voice? It is ironic. Our leadership is the ultimate expression of our humanity. Without it our competence has little impact. So in the spirit of planning for 2016, here are some ideas to support a time-out for reflection and leadership effectiveness. At the core of more leadership effectiveness is the ability to understand our impact on people (in addition to events) and constructively developing it to deepen connection to others. That connection fuels the reason people follow leaders (beyond the fact that they control salaries and advancement opportunities). It is also a driver in ethical or unethical behavior as many 2015 headlines about leadership and culture problems demonstrate. If asking that question feels like unnecessarily “rocking the boat” or adding to your overload, one resource to alleviate anxiety is taking a look at Thanks for the Feedback: The Science and Art of Receiving Feedback Well by Douglas Stone and Sheila Heen, coauthors of Difficult Conversations. The book offers a side benefit of helping bosses give feedback more effectively as well as take it themselves. Framing the more of/less of question is part of leading by example. It creates a context of wanting to foster a climate where the best outcomes are created for the employee, the company and all stakeholders. The question sends a message that good leadership requires vulnerability in service of continuous growth. Not just the boss’s growth, as employees will see later if you share during their performance reviews what you would like to see more or less of from each of them. Asking the question recognizes the relationship isn’t just transactional. It shows that you see the employee holistically, recognizing emotional as well as professional needs in the job. In a November interview on her creativity research, Harvard Business School Professor Theresa Amabile included in her discussion about the elements in a high performing work culture, the huge difference made when employees feel recognized as human beings and feel emotionally supported. We know that the real or perceived absence of the human element in a workplace makes headlines, as Amazon saw last summer. It turns a company and its leaders into a cautionary tale. If a work environment’s focus in only on the product, the people making it likely have a more distant relationship with bosses. If it feels unsafe to admit a mistake or risk exposure by getting broad-based help to correct it, silence becomes a shield. And the resulting ethical problems can torpedo a company’s success. How leaders at Volkswagen, for example, recover from the emission scandal will have a lot to do internally with how they reshape a work climate. Research by Amabile and others may offer a useful benchmark. How we go about making profits can also dehumanize work. Leaders’ connection to customers erodes in proportion to the focus on profits in the short-term. The 2007/2008 financial crisis and ongoing ethical scandals like Volkswagen’s debunk the myth of putting customers first. Decisions that pit company interest against customer interest render customers faceless. A human connection is broken. The result is disrespect, a violation of trust and unethical behavior. In December, JP MorganChase became the latest example. The company admitted wrongdoing for improperly steering clients to its own funds that often gave the banks higher fees and not disclosing to clients the conflicts. There is urgent work ahead by all of us to understand better how to balance short- and long-term focus and make decisions that treat customers with dignity. 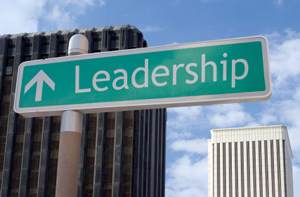 It is at the heart of leaders earning the right to be followed, employees feeling that what they do matters and customers not being put at risk. Working toward that creates a legacy where leaders and others flourish. PreviousThe Work Culture at Amazon: Does the Tin Man Have a Heart?